• Is your door jammed or stuck? • Has your sliding door stopped sliding? • Does your sliding door make a scraping noise? • Is it hard to line up the lock on your sliding door? • Have you had times when your door comes off the track? Getting your door sliding like new again is as simple as the three steps below. 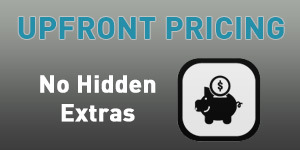 Call us on 0481 164 669 – We’ll provide you with an honest and upfront fixed price quote. Together we’ll book a convenient date and time for you to fix your sliding door. 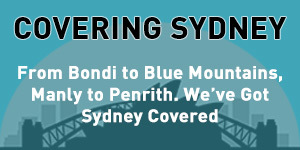 We’ll come to you anywhere in Sydney. Our repairs are fast and efficient. The team at Lock Roll and Tracks are dedicated to providing the highest quality sliding door repair services, using quality materials and all our work is backed by our quality guarantee. Our range of services is listed below and we cover all the best sliding door brands in Australia. Click on each of the links to find out more about our Sydney sliding door repairs and how we can help you. You can contact our team directly on 0481 164 669. If your glass sliding door is stuck, sliding rough, jammed or difficult to open, then we can repair your door and have it sliding like new again. No need to purchase a new door. Find out more. Screen sliding doors, often called sliding fly screen doors, are one of the most used in the house and so get worn down over time. Sourcing parts for screen door repairs can be difficult, but we have the full complement of parts to service your door. Click here to find out more about our sliding screen door repairs. We have been fixing wardrobe sliding doors in Sydney for many years and have the experience to make sure your door slides like new again. We fix all wardrobe doors including those with timber or metal frames. Find out more. We offer professional track repair services to all sliding doors. We have the right tracks to suit your sliding door rollers. Our tracks & capping’s are either Stainless Steel, Aluminium and Brass to suit all glass aluminium and timber sliding door roller types. View our track replacement service here. Our internal door repairs are done quickly and include glass sliding doors, and we can also fix shower screen sliding doors. If one of the sliding doors in your house is hard to move, then contact us for a free quote. We also handle French Sliding Doors, Cavity Sliding doors and Shower Screen doors. Find out more. Glass sliding door handles often get damaged and need to be replaced. We can replace your sliding door handles so your door slides like new but the handle lines up perfectly and locks easily. Get the full picture of how we replace sliding door handles here. Commercial sliding doors are the big ones and often have a timber or aluminium frame. Given the high amount of traffic that moves through these doors, we find these are very common repairs for our team. In addition, regular maintenance on these doors is a must. Find out more. 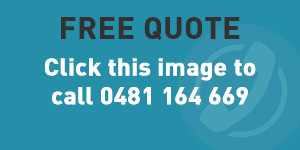 Sydney Sliding Door Repairs – How can we help you? Our team is dedicated to helping you get a smooth rolling door. You will be amazed at how effortlessly your door moves after we have run our repairs. By the end of our first call together, you will have a clear understanding of exactly what our team will do to fix your door. The sliding door repair cost and the process will be clearly outlined. We service the entire Sydney area from Penrith to Parramatta, the Hills District to Blacktown plus Marsden Park, Carlingford, Chatswood, Lane Cove, Liverpool, North Shore, Northern Beaches and more. So give our Sydney sliding door repairs team a call today and we look forward to helping you and your family with our complete door repairs solutions.